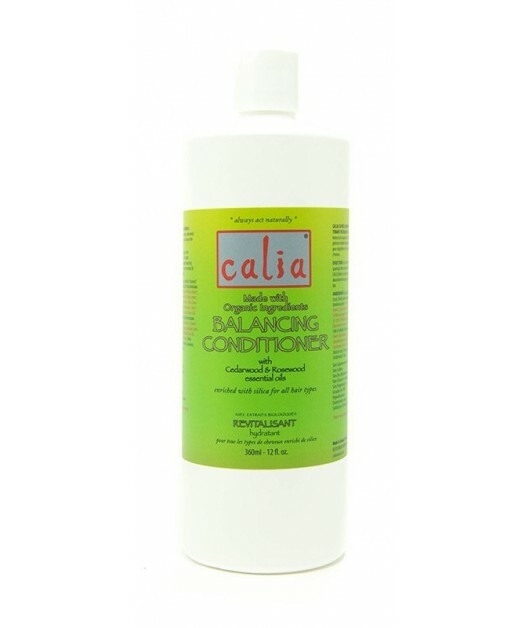 This all natural Balancing Conditioner is infused with a variety of certified organic botanicals, certified organic oils and Moroccan Cedarwood, and Rosewood oil. 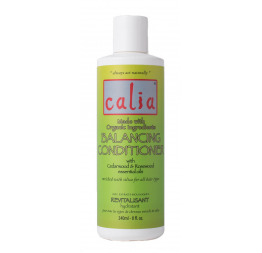 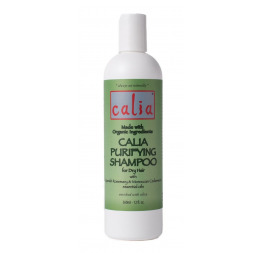 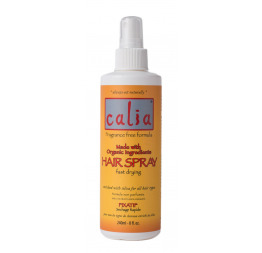 It brings a balance to your hair’s natural PH. 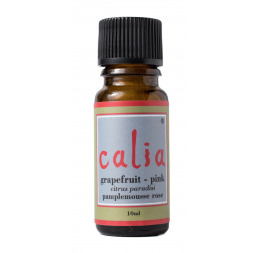 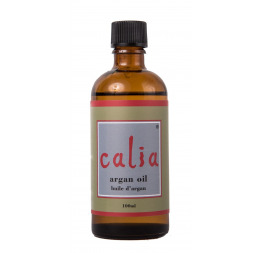 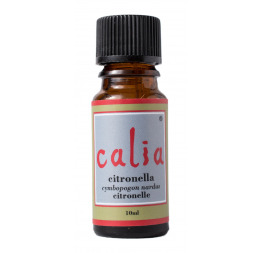 Especially good for dry hair, the slightly woody fragrance leaves a fresh, outdoorsy scent. Best when combined with Calia Balancing Shampoo. 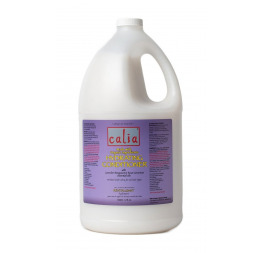 Aqua, Cocos nucifera (coconut) oil, Pinus banksiana (pine) extract, Medicago Sativa (Alfalfa) extract, Matricaria chamomilla (chamomile) flower extract, Echinacea purpurea flower extract, Urtica dioca (nettle) leaf extract, Trifolium pratense (clover) flower extract, Equisetum arvense (Horse Tail) extract, Cera alba (Bees Wax), Olea europaea (olive) fruit oil, Linum Usitatissimum (Linseed) Seed Oil (Flax), Curcurbita pepo (pumpkin) seed oil, Helianthus Annuus (Sunflower) Seed Oil, Acetic Acid (Apple Cider Vinegar), Aniba rosaeodora (rosewood) wood oil, Juniperus virginiana (cedarwood) oil.